Justices criticize government for wishing to reopen closed cases over changed policy, adding that the state had not provided the kind of extraordinary circumstances that would force revisiting a court verdict. Rejecting a state appeal, the High Court of Justice ordered on Monday the demolition of illegally-built structures in the Ulpana neighborhood. 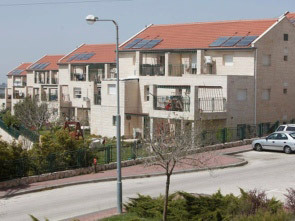 The ruling came after state appealed to the High Court on Friday, requesting it reconsider its ruling to evacuate the Ulpana neighborhood, part of the West Bank settlement of Beit El, and tear down the structures there, which were built on private Palestinian land.